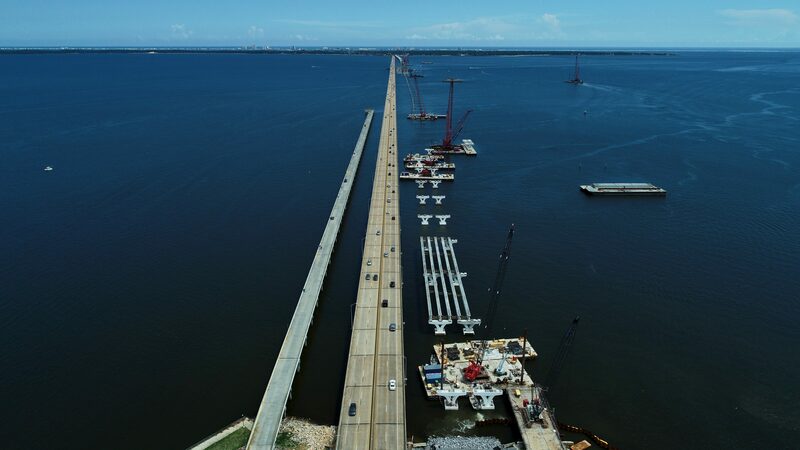 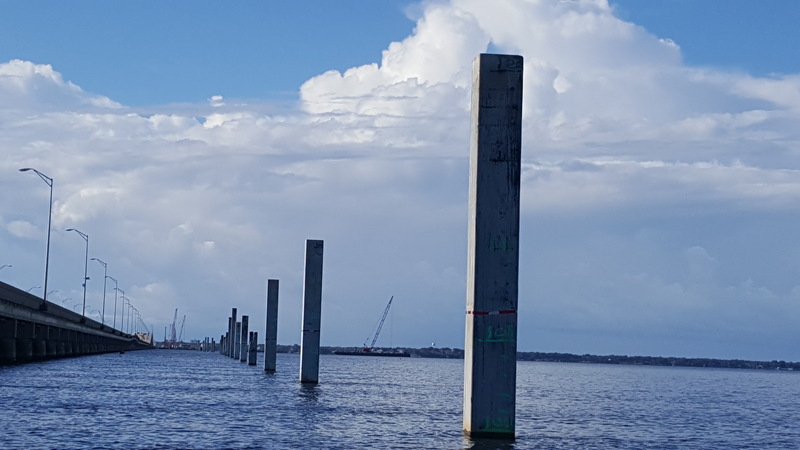 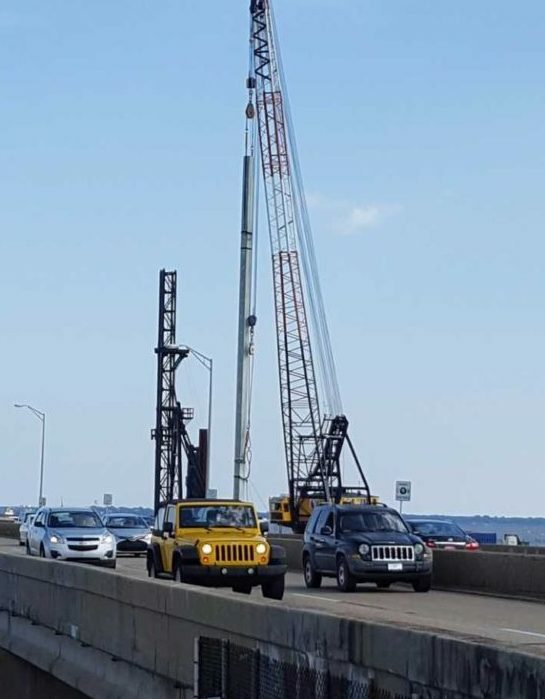 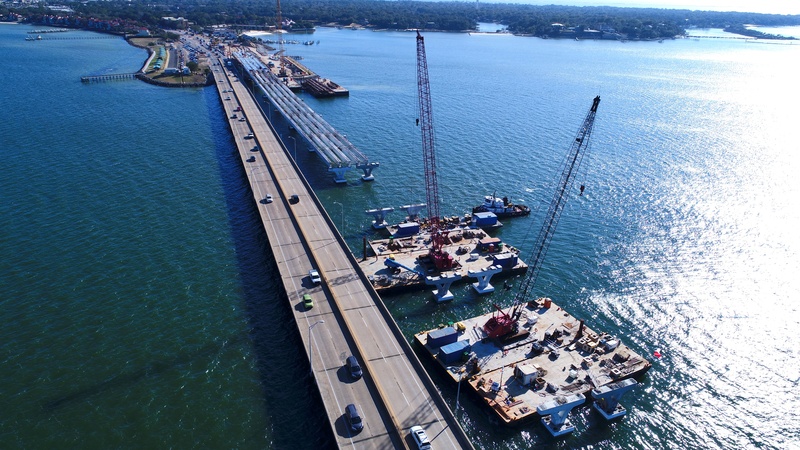 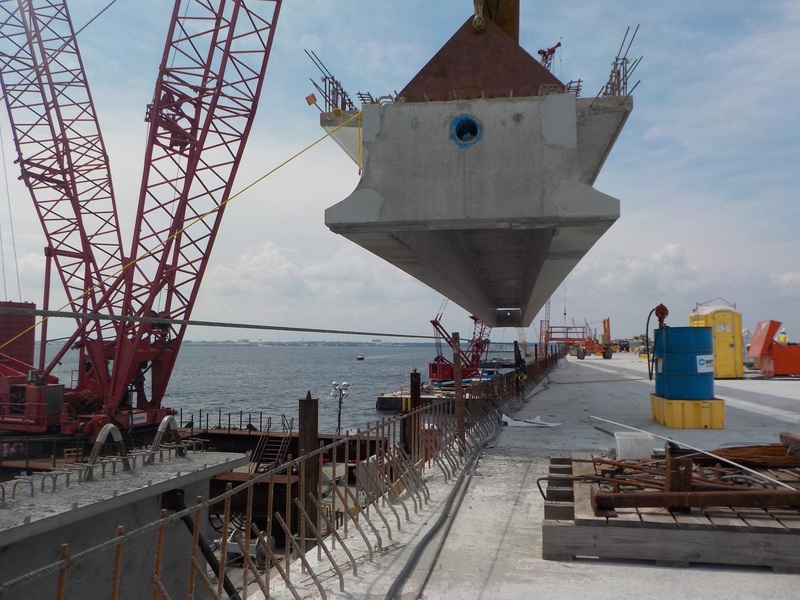 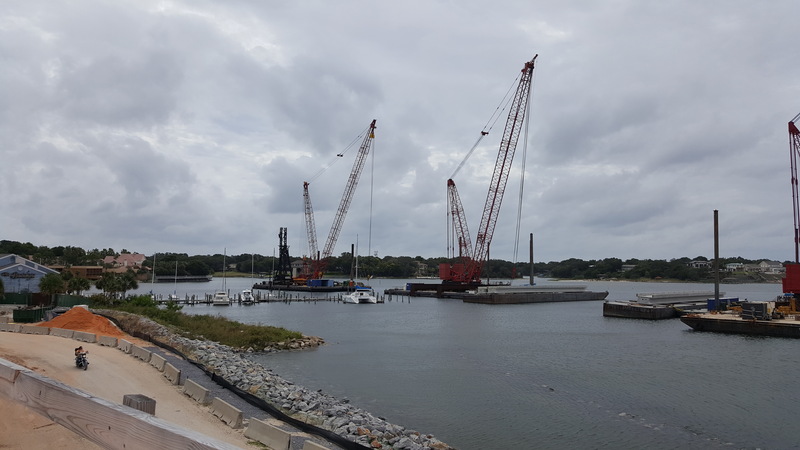 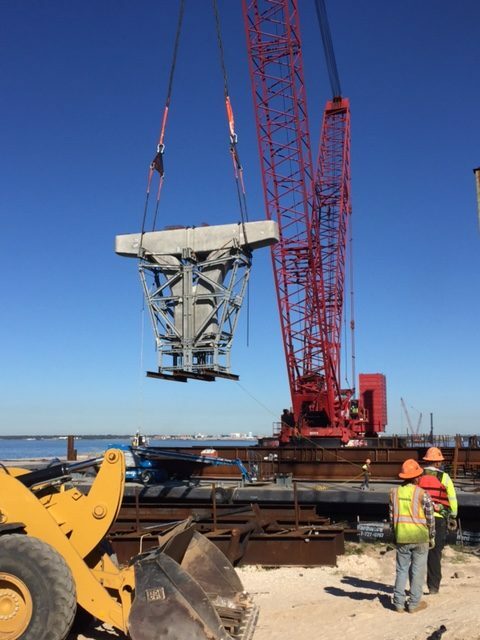 In addition, more than one-third of the piles needed for the new westbound (Gulf Breeze to Pensacola) bridge have been driven. 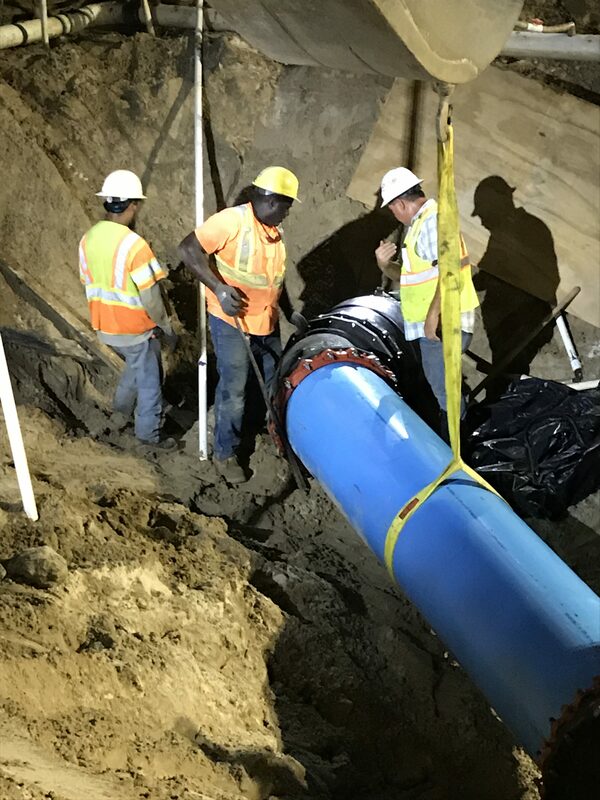 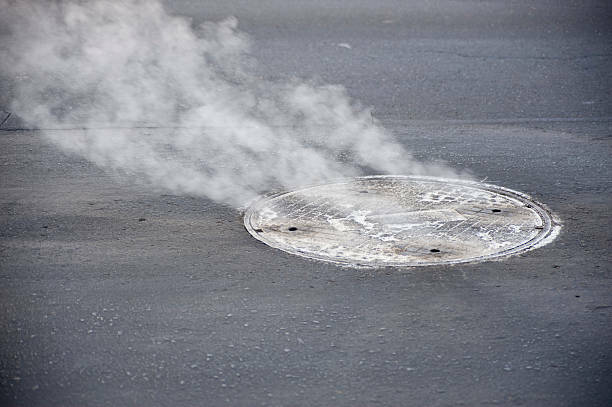 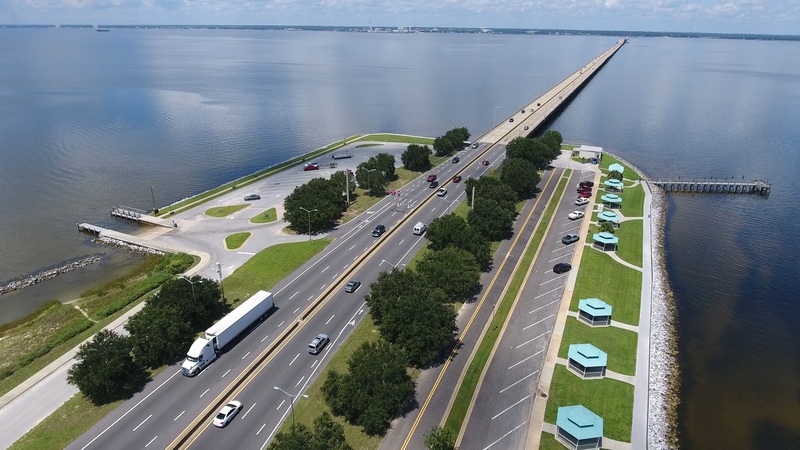 Plans are to complete the new eastbound structure early next year and temporarily configure it for four travel lanes, separated by an auxiliary lane for emergency vehicles. 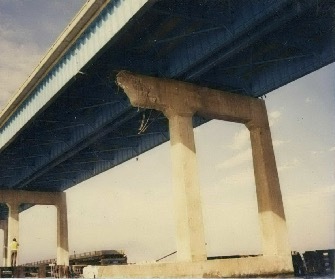 Crews will then demolish the current bridge and complete the new westbound structure. 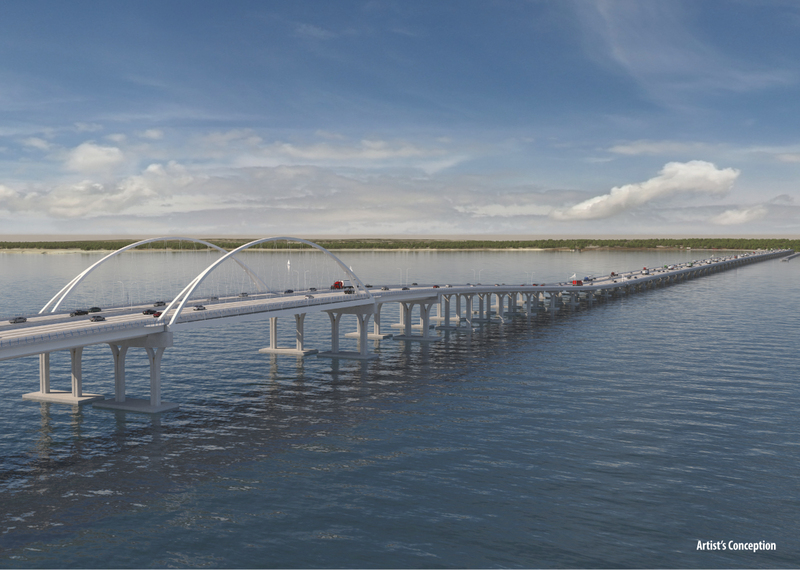 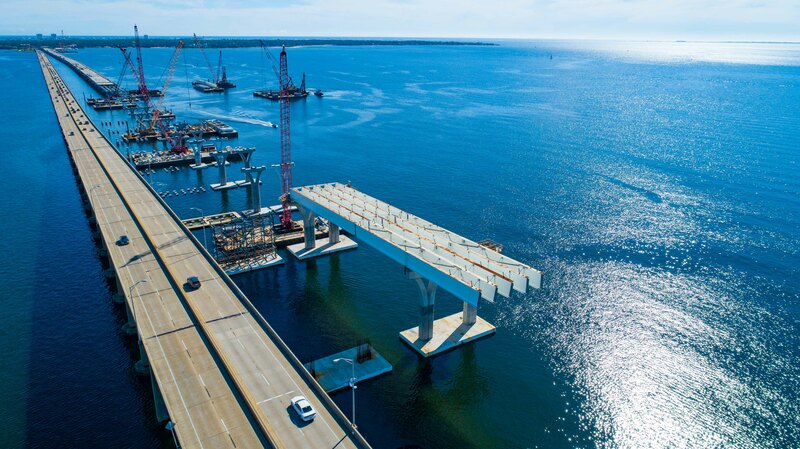 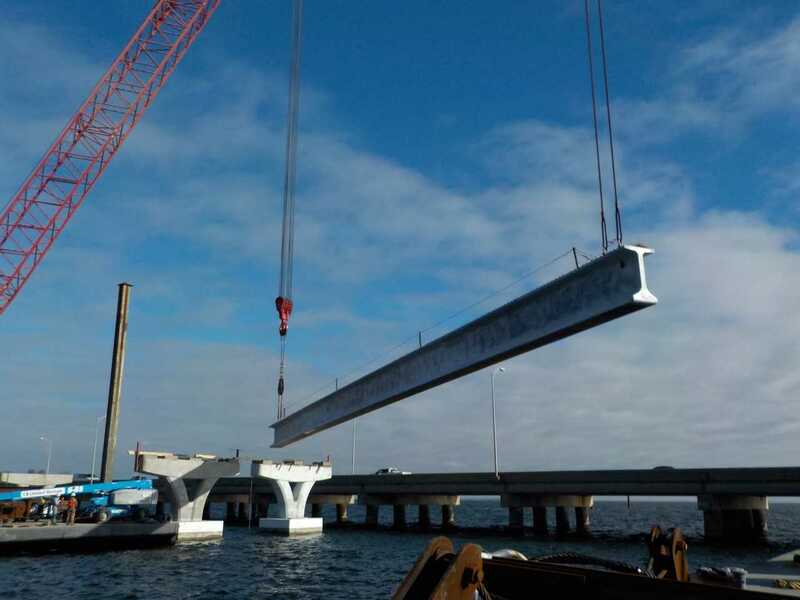 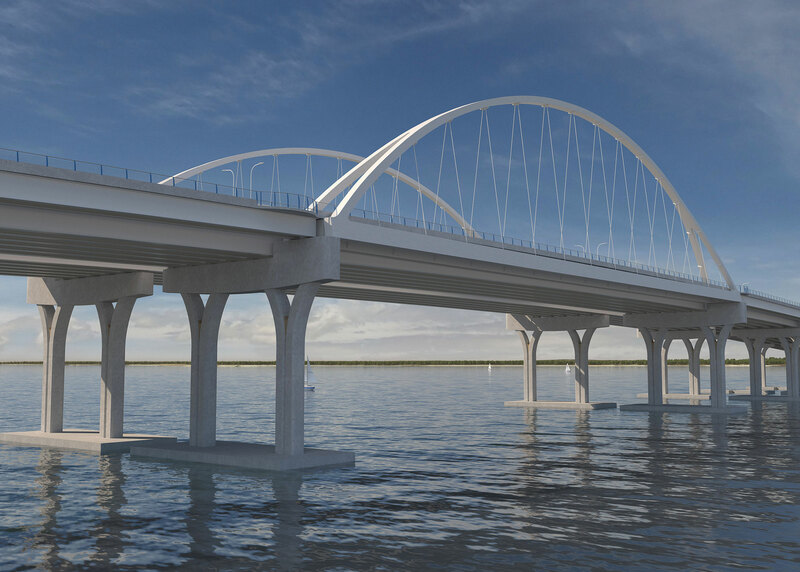 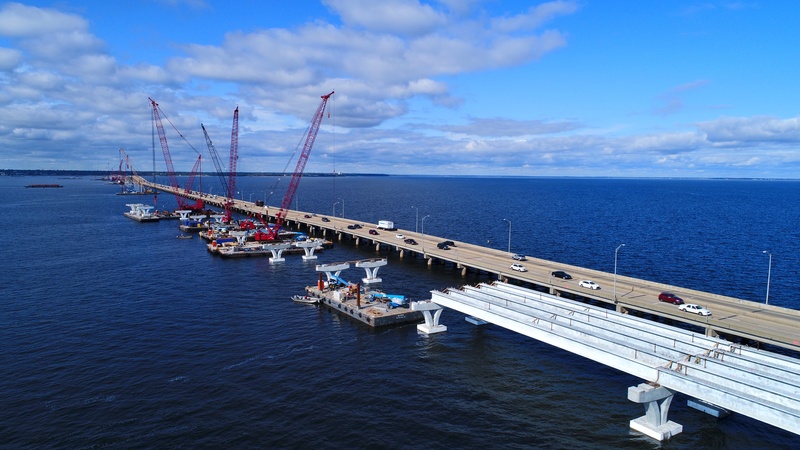 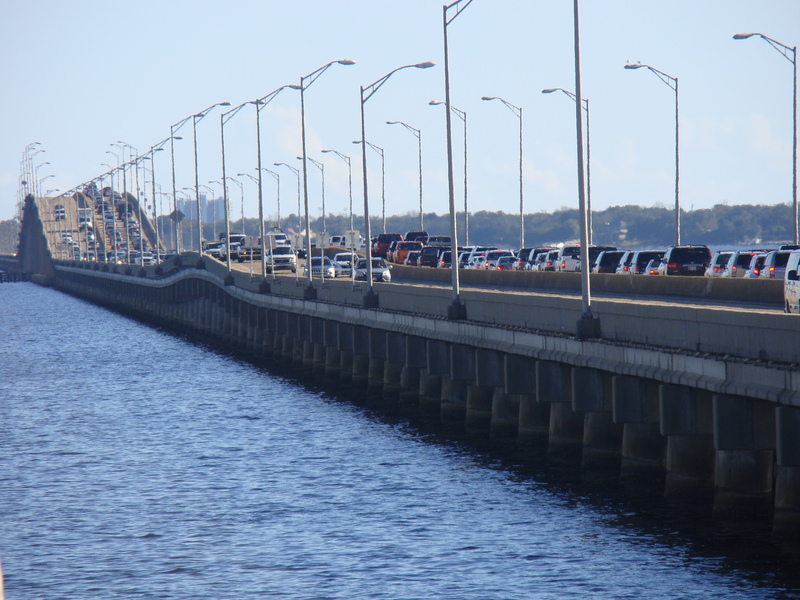 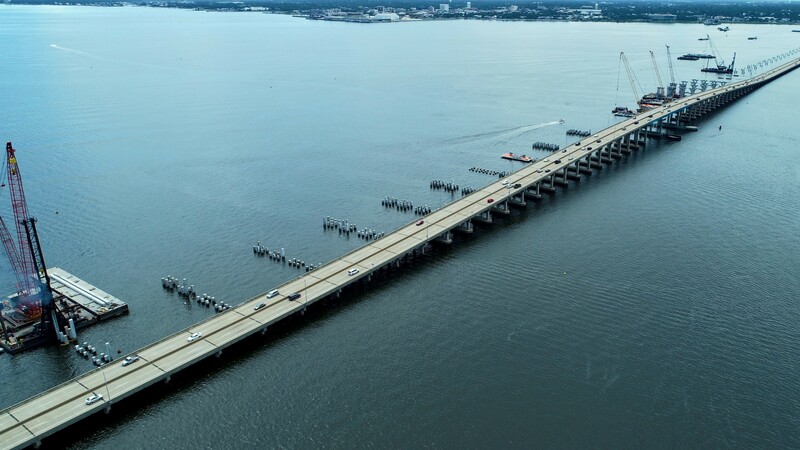 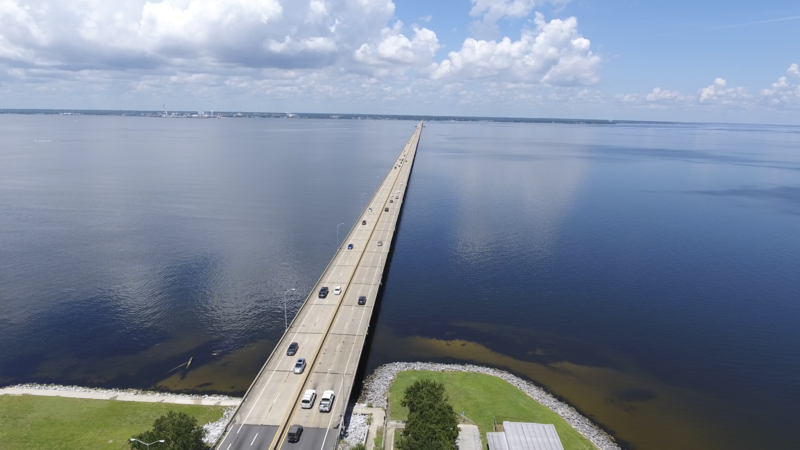 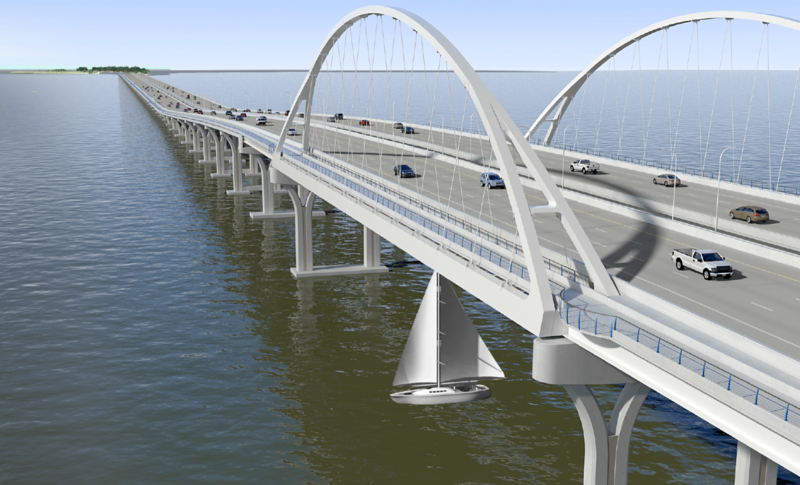 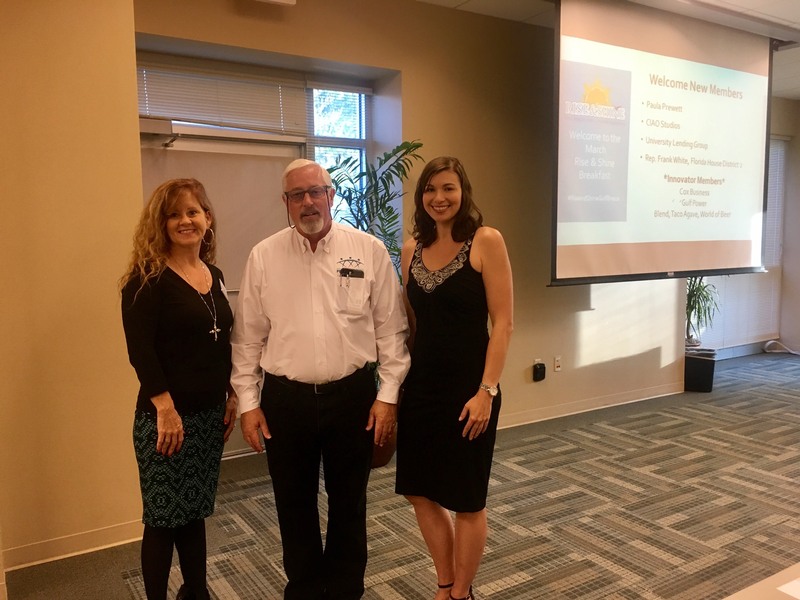 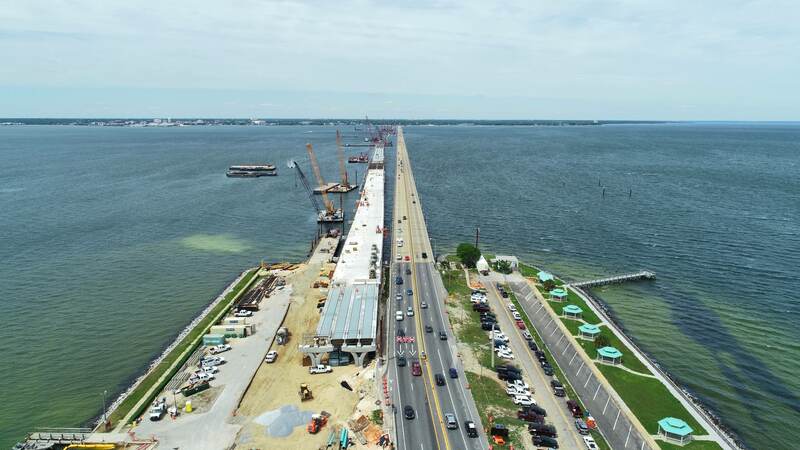 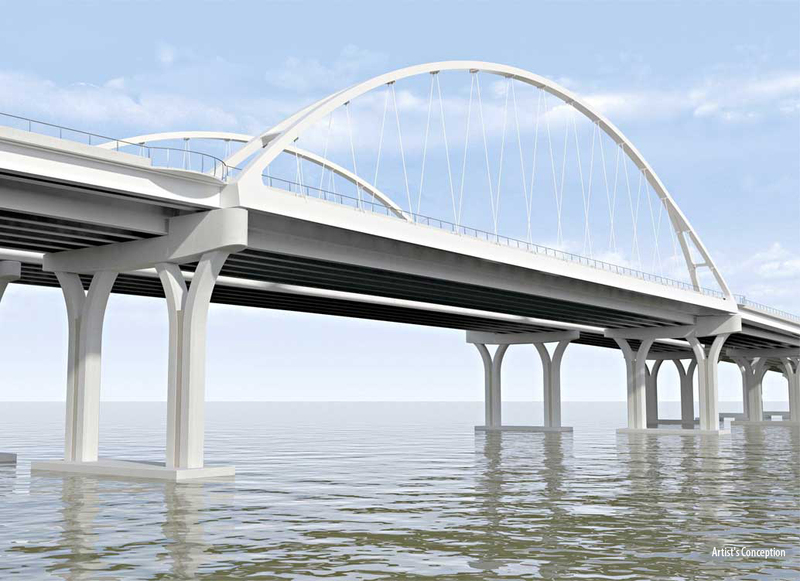 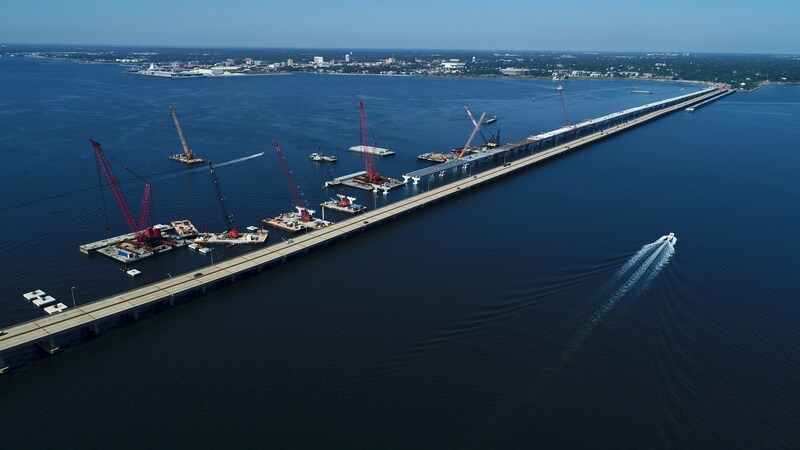 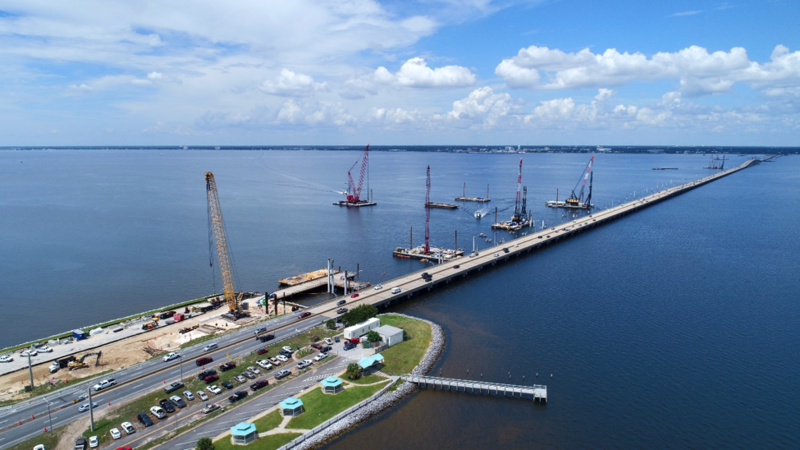 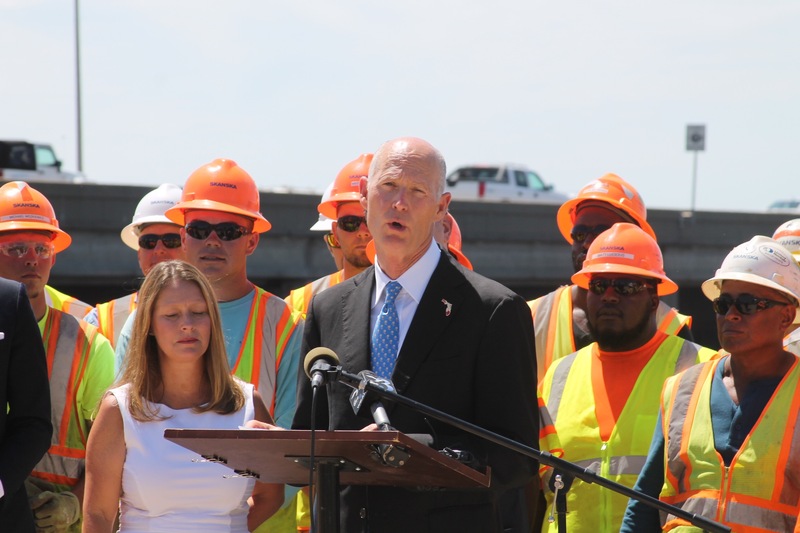 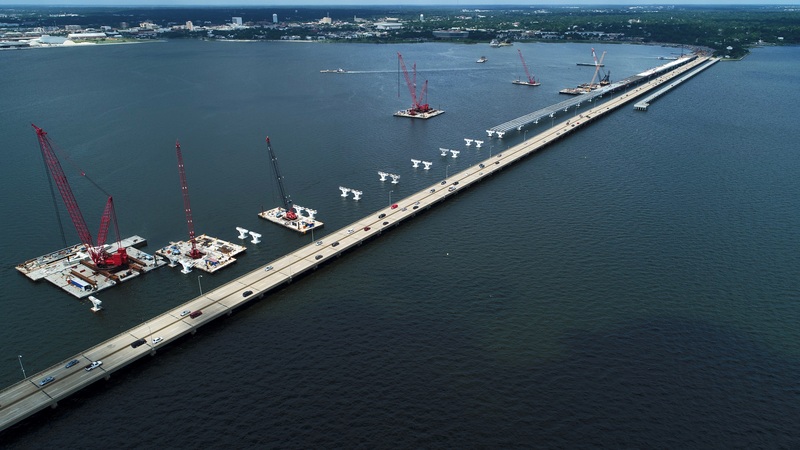 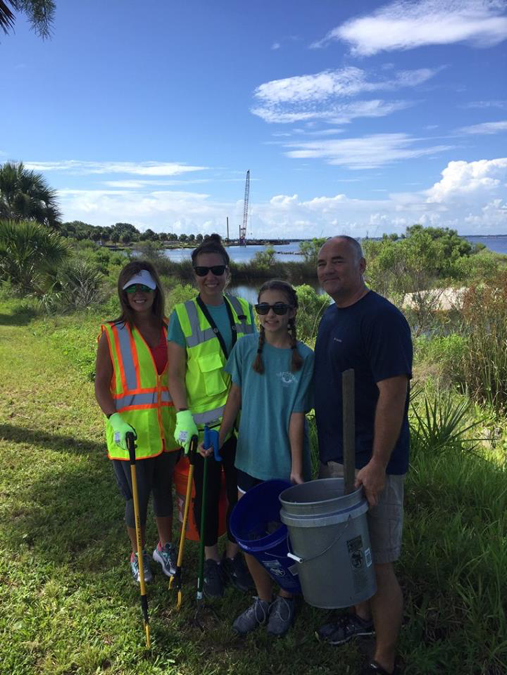 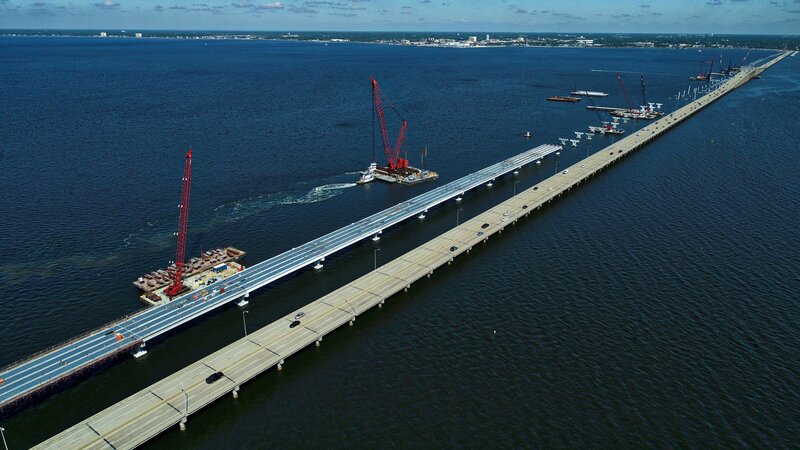 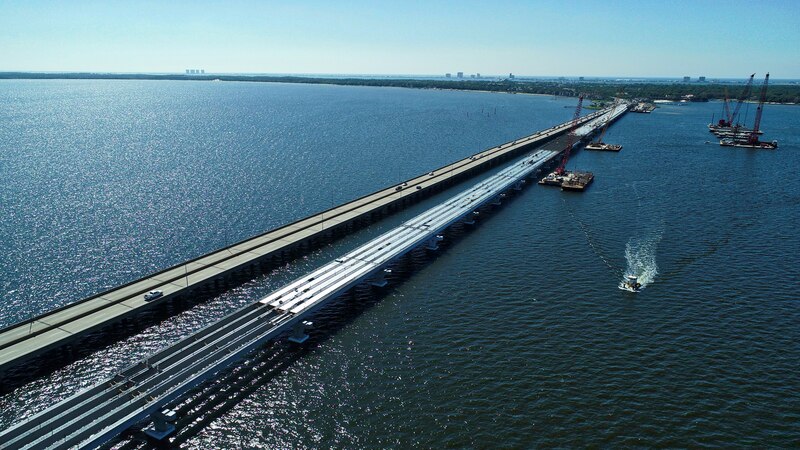 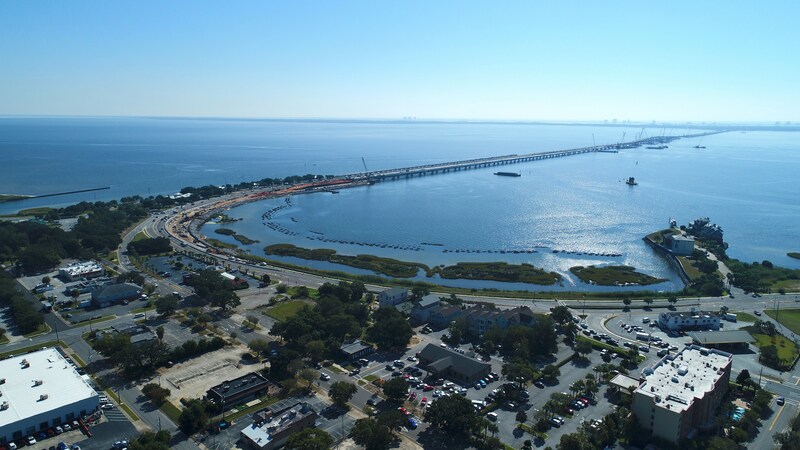 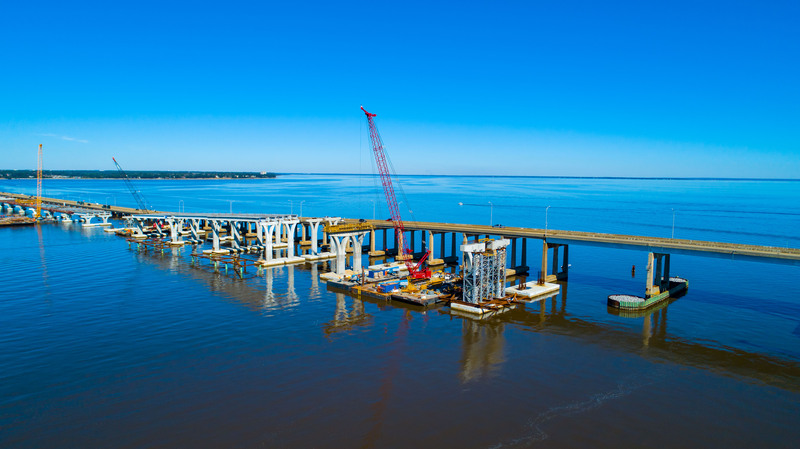 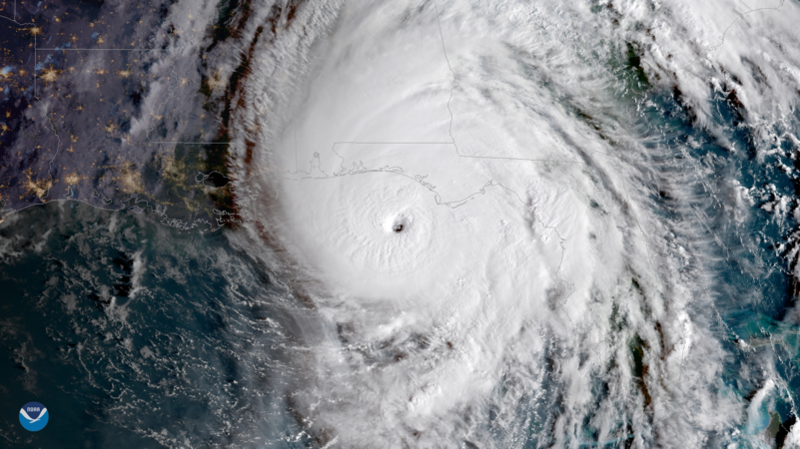 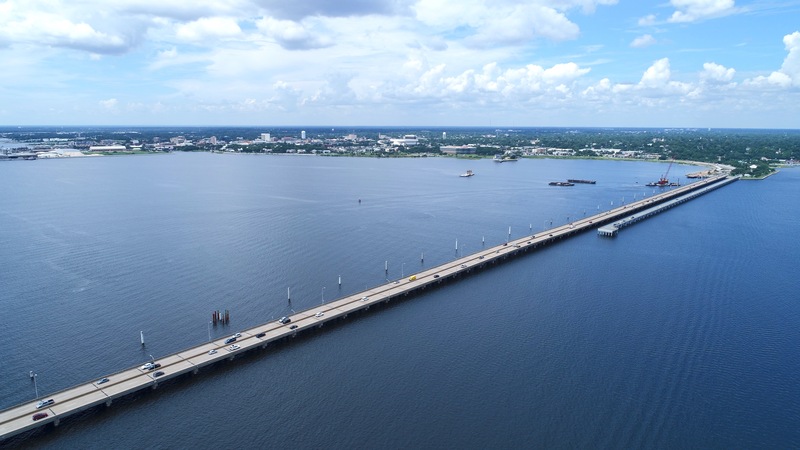 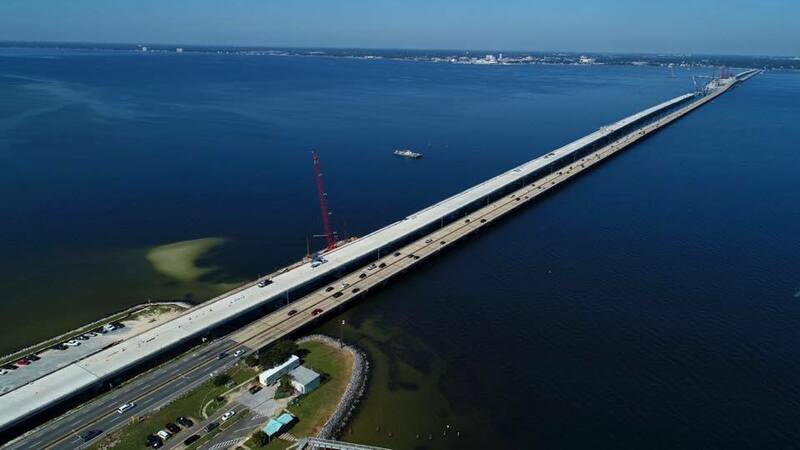 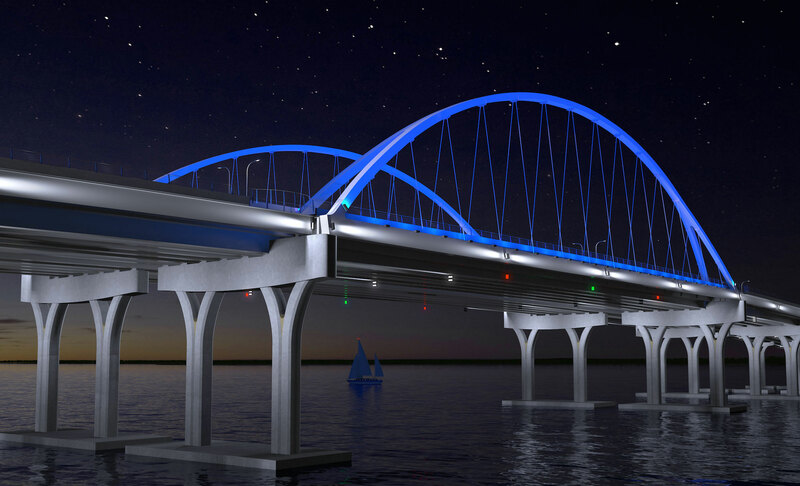 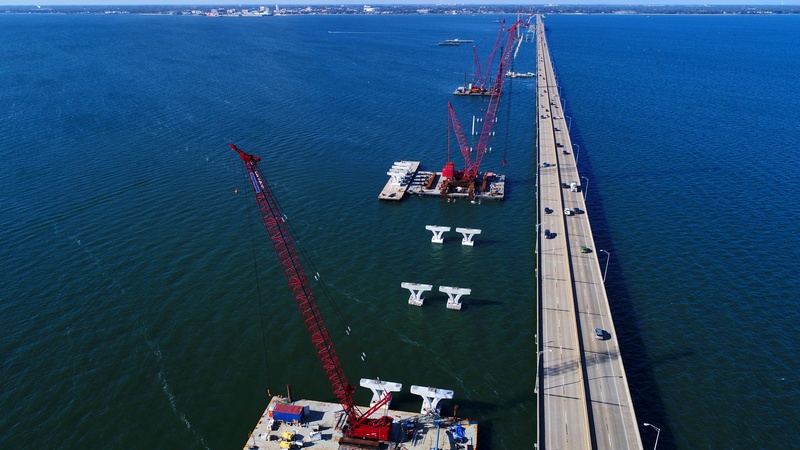 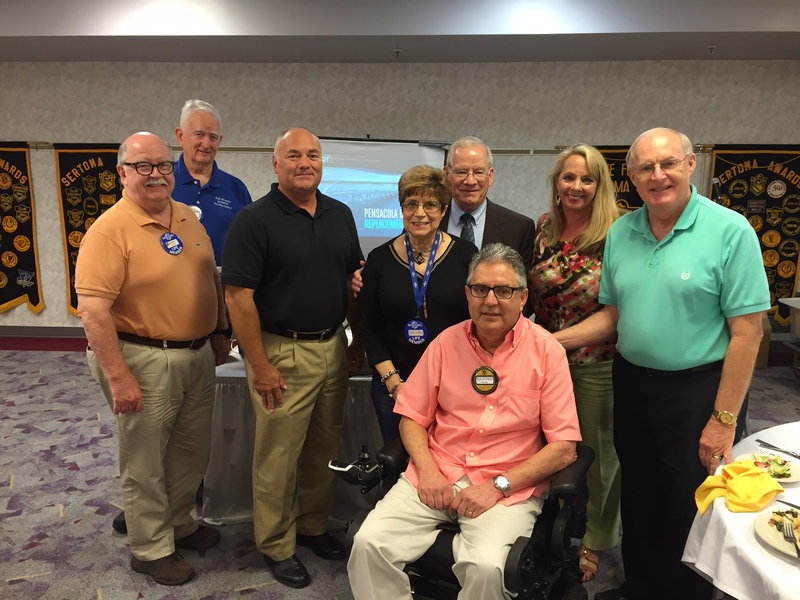 When completed the new Pensacola Bay Bridge will accommodate three east and three westbound travel lanes, 10-foot inside and outside shoulders, and 10-foot multi-use paths for pedestrians and bicyclists. 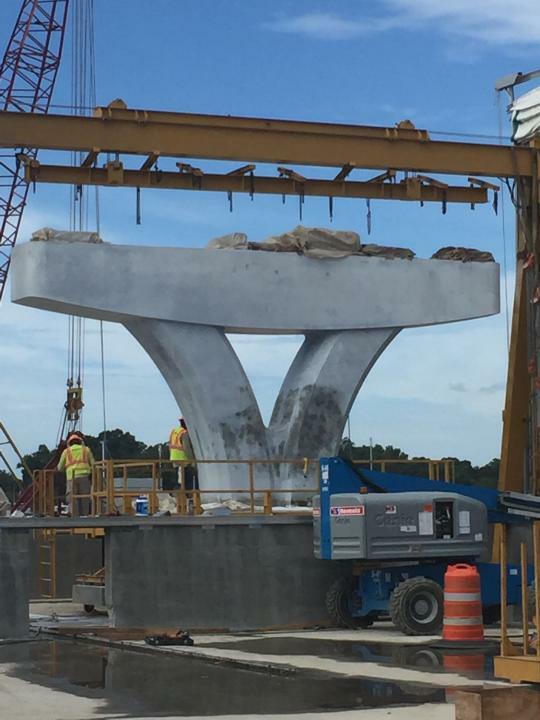 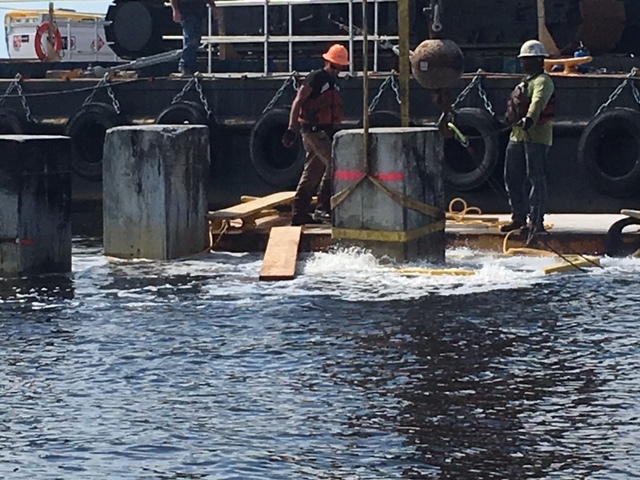 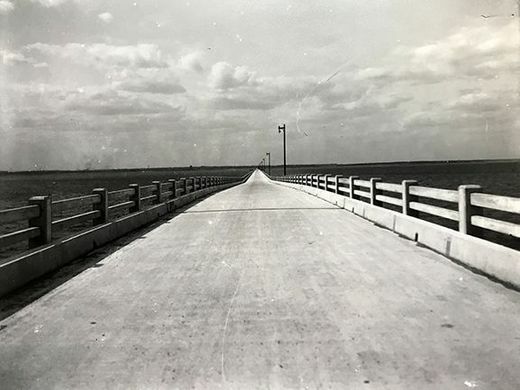 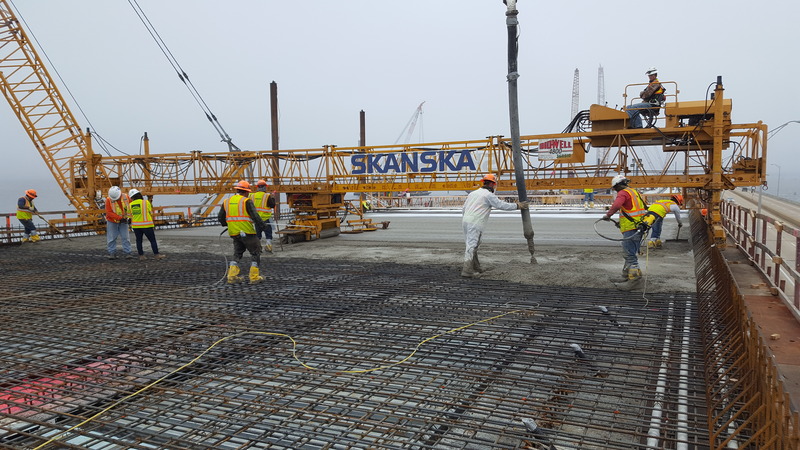 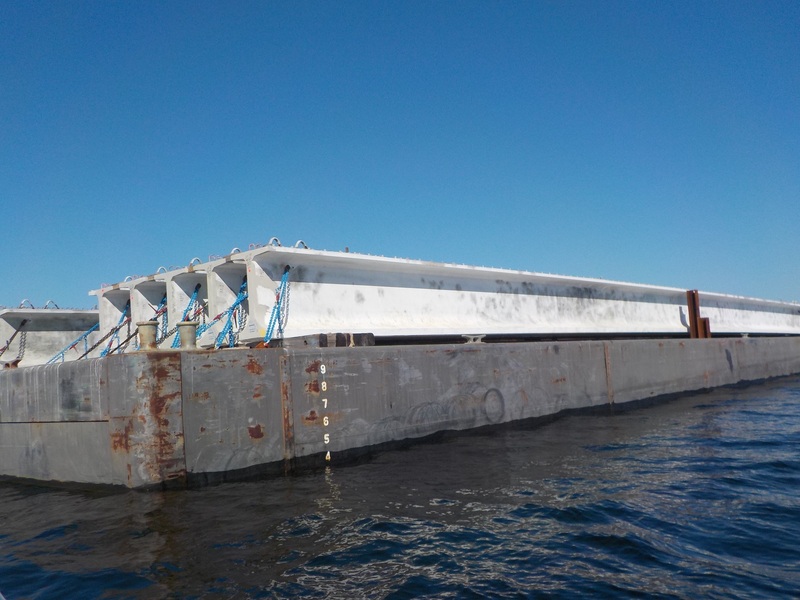 The pilings and other concrete components for the new bridge are fabricated at a casting yard on Bayou Chico and transported to the construction site by barge. 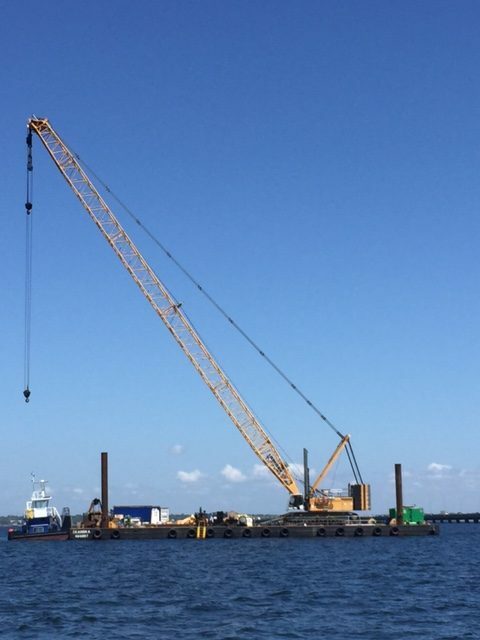 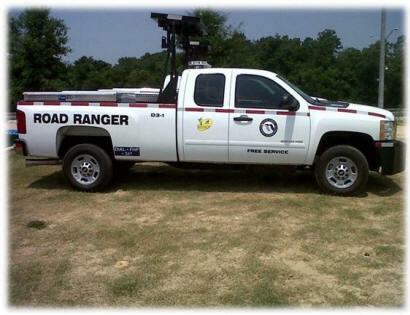 They are driven using barge mounted cranes equipped with 22,000-pound diesel powered hammers. 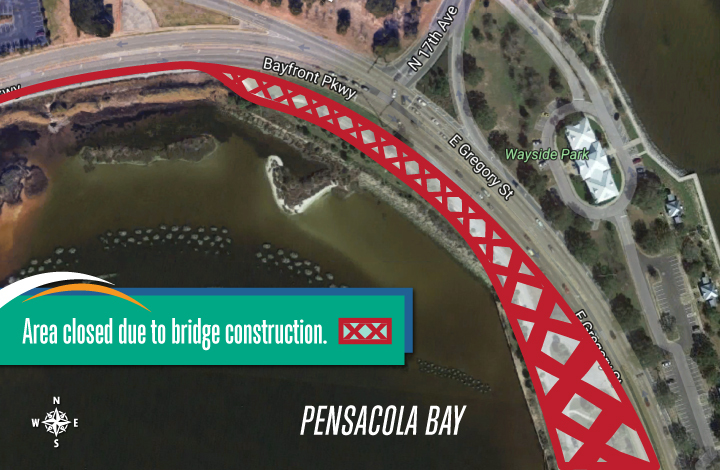 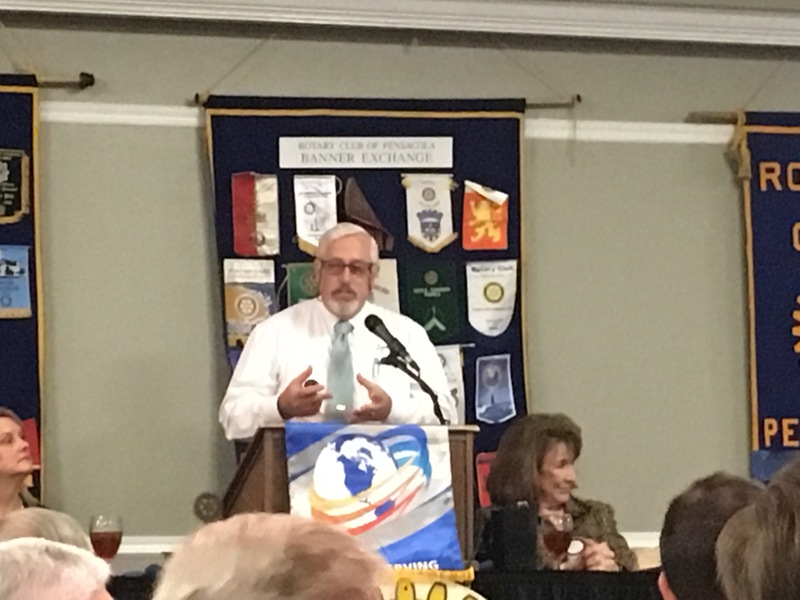 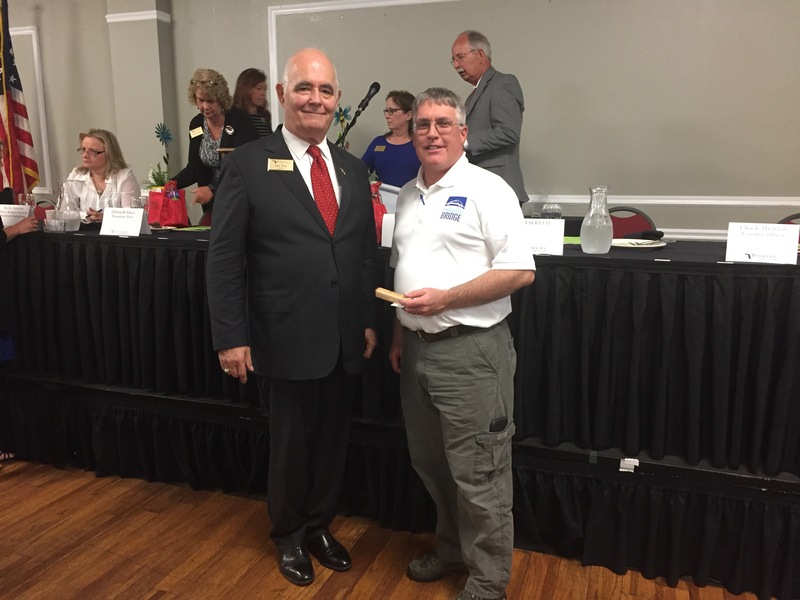 Bridge construction is currently estimated for completion in late 2020.